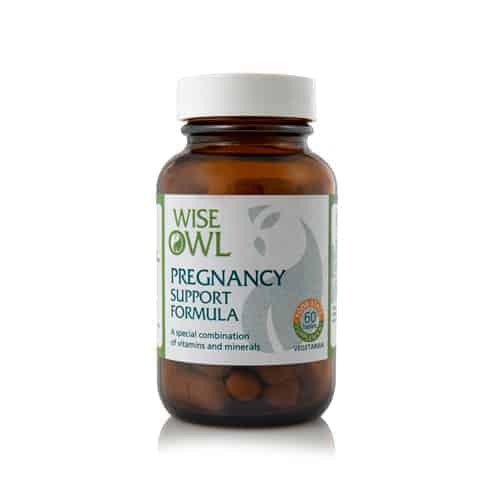 Wise Owl’s ‘Food State’ Pregnancy Support supplement has been specifically created for pregnant women to support both mother & developing baby. Made made using high quality, whole food ingredients providing optimal absorption & utilisation. Suitable for vegetarians. Ensuring a good range of nutrients in pregnancy is a key factor for the good health of mother & baby that takes on more importance in the gestation months. Healthy eating during pregnancy is critical to your baby’s growth & development. The main source of nutrients needed during pregnancy should come from sensible dietary sources. However, it is known that many foods are low or deficient in some important vitamins & minerals. A prenatal Food State vitamin & mineral supplement helps to avoid potential deficiencies of some key nutrients. Probably 99% of the “natural” vitamin supplements available are in fact chemical substances & not in the form of food that the body can recognise & use beneficially. The Food State vitamins & minerals are in the same form as food sources & therefore far better recognised & utilised than other forms. CONTAINS NIACIN (VITAMIN B3): A recent study has shown that Niacin (Vitamin B3) may help prevent miscarriages & birth defects (BBC News). It has been estimated that over 50% of mothers may be lower in magnesium according to nutritional surveys. The suggestion is to consider an additional Food State magnesium supplement. Iodine levels can also be deficient & pregnant women may want to have their iodine levels checked with their GP. Pregnancy should be a time for joy & a time for good nutrition for mother & baby. Ensuring that a good range of nutrients are present is a key factor, that takes on more importance in the gestation months. Healthy eating during pregnancy is critical to your baby’s growth & development. The main source of nutrients needed during pregnancy should come from sensible dietary sources. It is known that many foods are low or deficient in some important vitamins & minerals. A prenatal Food State vitamin & mineral supplement helps to avoid potential deficiencies of some key nutrients. We know now that some very important micro nutrients used by our immune system are very well documented to be low in soils & the plants that grow in low nutrient soils. Supplementation is a sensible decision to consider for both mother & baby. We also need to consider that probably 99% of the “natural” vitamin supplements available are in fact chemical substances & not in the form of food that the body can recognise & use beneficially. The Food State vitamins & minerals are in the same form as food sources & therefore far better recognised & utilised than the other forms. The Pregnancy Support Formula also contains beneficial trace amino acids & beneficial bioflavonoids. It is important for mothers to remember that the daily requirement for water increases during pregnancy - it has been reported that morning sickness can occur with a low water intake. Magnesium deficiency is a much more common mineral deficiency & it has been estimated that over 50% of mothers may be lower in this important mineral according to nutritional surveys. The suggestion is to consider an additional Food State magnesium supplement. Iodine deficiency during pregnancy is not uncommon & food processing methods can destroy over 20% of iodine in all pasteurised foods that contain iodine. The suggestion is that mothers to be do check their iodine levels. Recommended Intake: 1 tablet daily or as directed by a practitioner. Do not exceed the recommended daily intake. This product should not be used as a substitute for a varied diet and healthy lifestyle. It is advisable to consult a medical doctor when pregnant & considering a food supplement. 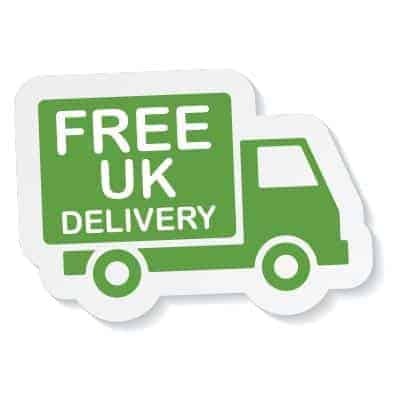 Non GMO & Free From: wheat, starch, gluten, milk products (lactose), added sugars, colourings, flavourings & preservatives. Storage: Keep cool, dry & out of direct sunlight. Keep out of reach of children. Product Ingredients: Vitamin C & bioflavonoids incorporated in citrus pulp; vitamin E combined in yellow pea; yeast concentrate providing niacin, calcium, magnesium, pantothenic acid, nositol, choline, iron, zinc, vitamin B6, riboflavin, thiamin, manganese, boron, copper, vitamin B12, folic acid, biotin, selenium, GTF chromium, vitamin K, molybdenum, vitamin D3; beta carotene incorporated in carrot concentrate; vegetable magnesium stearate. Energy, protein, carbohydrate & fat content negligible.